CNN Football Club: Owen Hargreaves answers your questions! 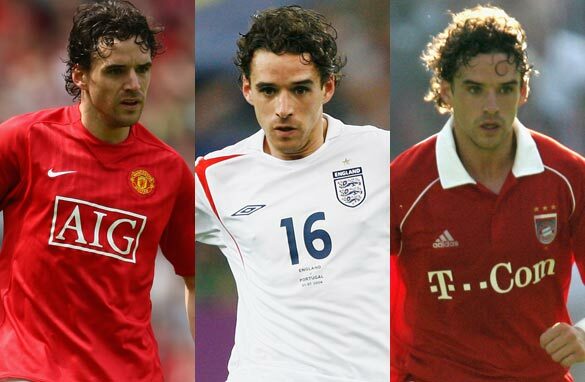 Owen Hargreaves played for Bayern Munich before moving to Manchester United in 2007. (Getty Images). Owen Hargreaves is a former England midfielder who lifted the Champions League trophy twice during a glittering career. On Thursday, the former Bayern Munich and Manchester United star made his debut for the CNN Football Club. Born in Canada, Hargreaves rose through the ranks at Bayern before helping the Bavarians to European glory in 2000. Seven trophy-laden years followed, including four Bundesliga titles and three German Cups, ahead of a switch to United in 2007. Injuries marred Hargreaves’ time in Manchester, but it didn’t prevent him playing a key role in United’s 2008 Champions League triumph. Hargreaves represented England 42 times, playing for his country at Euro 2004 and the 2006 World Cup in Germany. Now Hargreaves has answered your questions as CNN FC put him On the Spot after he appeared alongside host Pedro Pinto and former Chelsea and Uruguay player Gus Poyet to analyze the week’s Champions League semifinals. The CNN FC team also debated the week’s poll question, which asked: '"Which manager should move on at the end of the season?" Vote in the poll above and don’t forget to tune in to the CNN Football Club on CNN International at 1600 GMT on Thursdays. Among the clubs you played for, (Bayern, Man Utd and Man City) which club did you most enjoyed playing for? Two German teams in the Champions league final! It is very interesting! I want to hear your opinion about the strength of German clubs. Is it their mentality? Hi Owen, how are you ? You are out of football for a long time. Do you believe in yourself to come back on the pitch? Or do you go in the mangement or to stay as an football expert like Kahn or Ballack in Tv? How do you see yourself in sooner future in that buisness? Wishing Owen Hargreaves all the best in life. Wonderful footballer. Do you think fergie resigned because he saw that Man U were waining and blessed to win the league on what was probably the worst year in English football since the premiership was formed.